Large maneuvers. -- Every year in autumn, the German army carries out highly developed maneuvers where, under the eye of the Emperor, strategic science, tactics of the great leaders and the maneuvering quality of the troops are exercised. 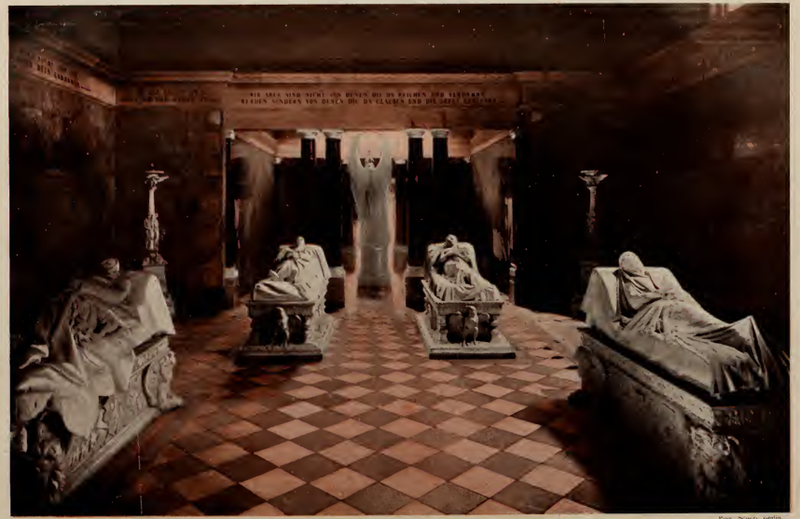 The Mausoleum of Charlottenburg. -- Of the four tombs that the Hall of the Hohenzollern contain, those of Queen Louise and Frederick William III, on the bottom, are true masterpieces; the two others, beautiful as well, are occupied by Emperor William I and Empress Augusta. 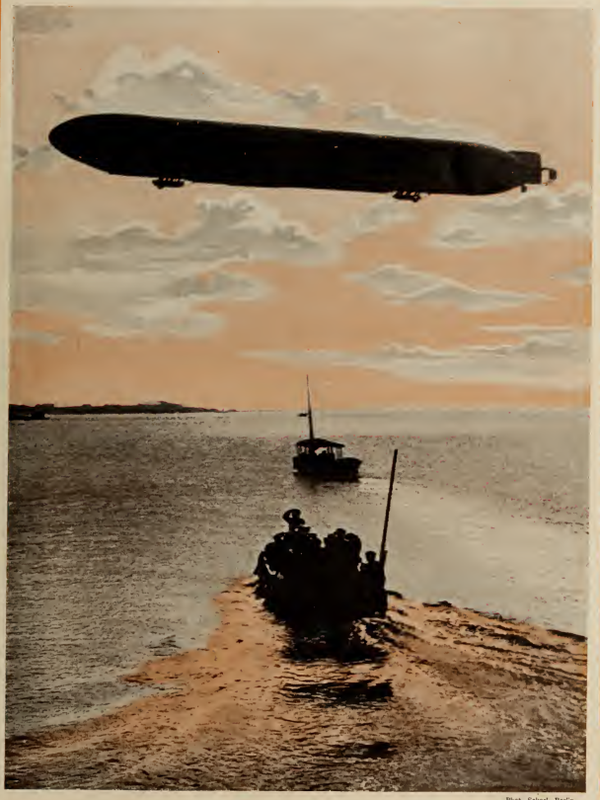 German Dirigibles. -- The aircraft cruiser that one can see moving over the Bay of Heligoland belongs to the category of rigid craft, which easily do 75 kilometres per hour. The Army. -- Top: The changing of the guard. 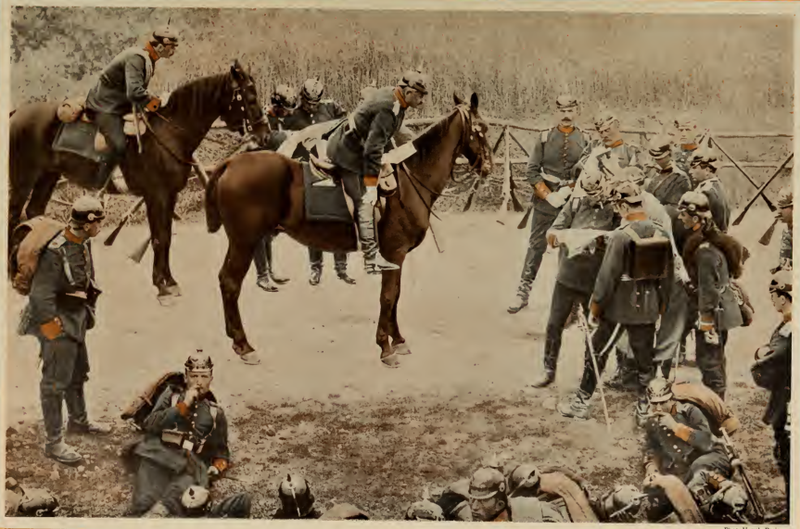 Middle: The Emperor reviews troops at Camp Döberitz. 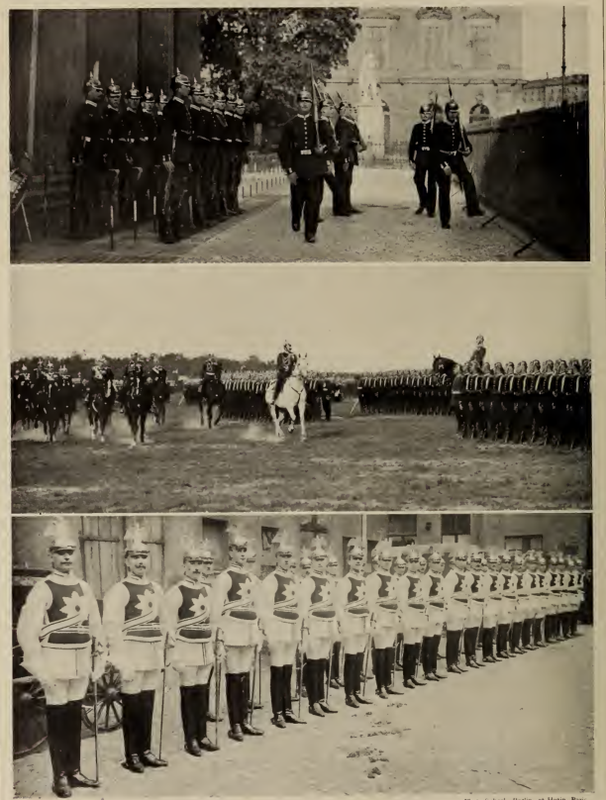 Bottom: Bodyguards of the Emperor in full uniform. Service in the field. -- The German army is constantly held in suspense; they conduct frequent exploration exercises, reconnaissance activities that make the soldier more flexible, give him the initiative and familiarize the sergeant with reading maps. 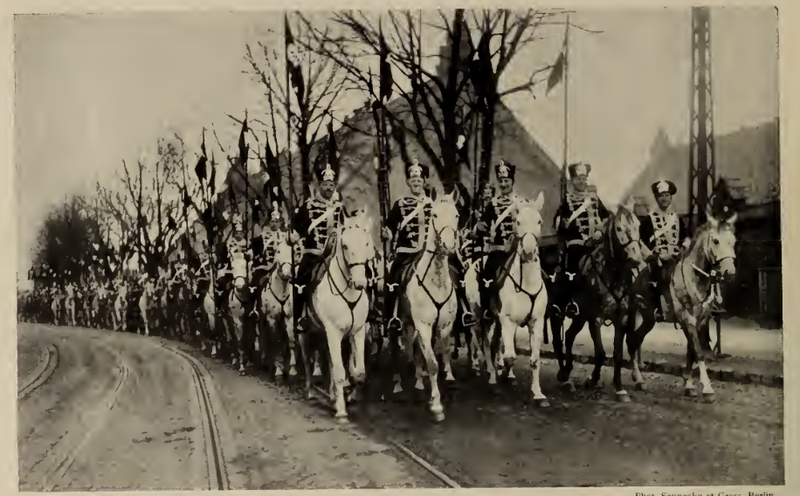 The Hussars of Death owe their name to the skull that adorns their headgear. In the first row in the middle of the officers we see Princess Victoria Louise, Honorary Colonel of this regiment. On the move. 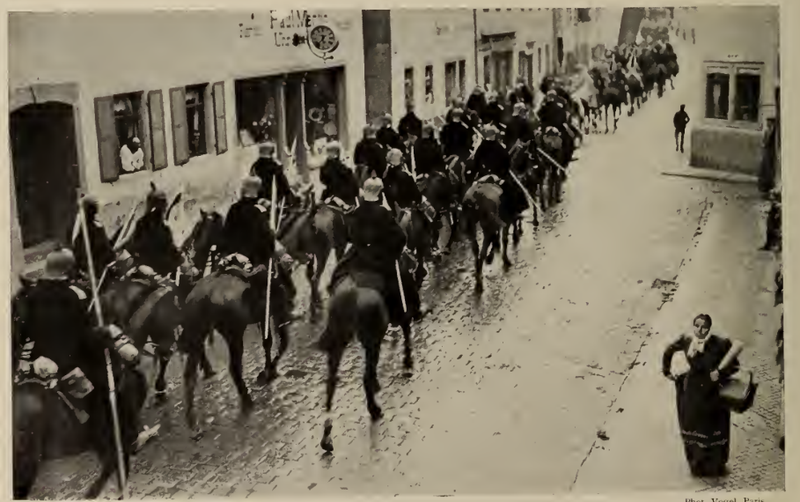 -- During the autumn maneuvers villages within the radius of operations witness long processions of troups that fill the streets with a transient animation. Tempelhof. 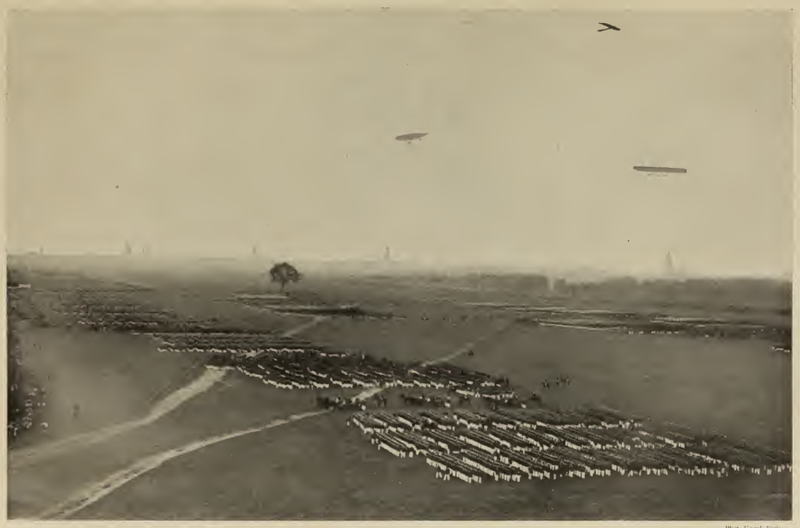 -- At the gates of Berlin where the steeples and towers loom on the horizon is the immense field of maneuvers known as Tempelhof where 20,000 men can freely move about and where generally are held the imperial inspections. The Emperor on horse, in the front of his staff, follows closely from the top of a hill the different phases of an engagement. 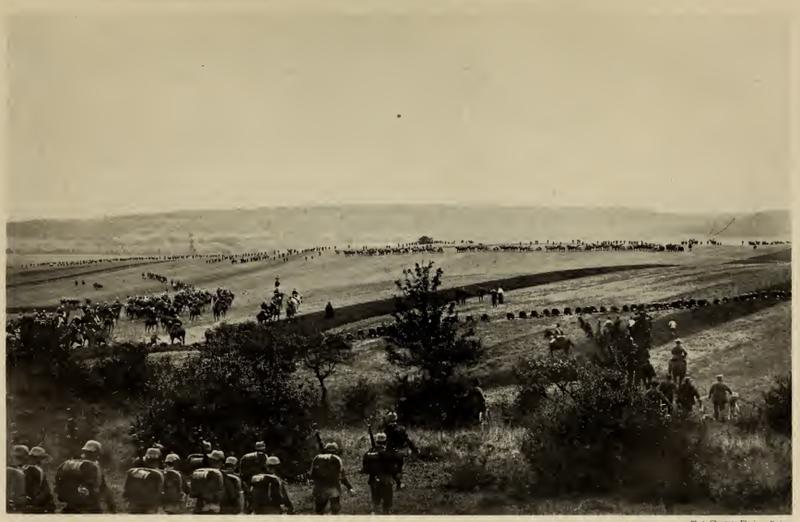 A soldier like all the Hohenzollern, Wilhelm II sometimes directs operations and shows, it is said, more enthusiasm than true military knowledge.